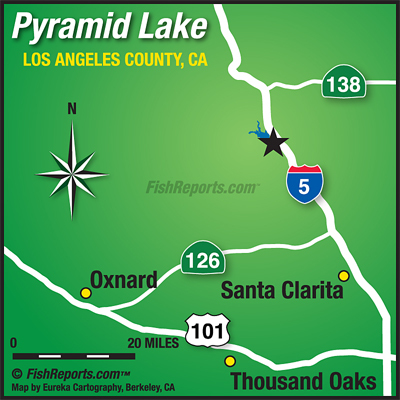 Fishing at Pyramid has been excellent over the past week for many anglers during their visits, both from shore and throughout the lake for multiple species! Stripers have been biting throughout the day consistently along the rip rap in front of the boat shop and reports of larger stripers have also been caught along the channel up front by the entrance booth. Anglers have also been catching some trout in front of the boat shop and in coves closer to the marina on nigh crawlers and power baits. Catfish have been biting very well all over the lake, some of the larger ones have been caught across the lake, down deep in the coves, also on night crawlers and sardines. The bass bit has also been picking p with tons fo small mouth action around the lake and some good sized large mouth biting soft plastics from shot rigs and swimbaits!